Much of the fraud involving counterfeit credit, ATM debit and retail gift cards relies on the ability of thieves to use cheap, widely available hardware to encode stolen data onto any card’s magnetic stripe. But new research suggests retailers and ATM operators could reliably detect counterfeit cards using a simple technology that flags cards which appear to have been altered by such tools. A gift card purchased at retail with an unmasked PIN hidden behind a paper sleeve. Such PINs can be easily copied by an adversary, who waits until the card is purchased to steal the card’s funds. Image: University of Florida. Researchers at the University of Florida found that account data encoded on legitimate cards is invariably written using quality-controlled, automated facilities that tend to imprint the information in uniform, consistent patterns. Cloned cards, however, usually are created by hand with inexpensive encoding machines, and as a result feature far more variance or “jitter” in the placement of digital bits on the card’s stripe. Gift cards can be extremely profitable and brand-building for retailers, but gift card fraud creates a very negative shopping experience for consumers and a costly conundrum for retailers. The FBI estimates that while gift card fraud makes up a small percentage of overall gift card sales and use, approximately $130 billion worth of gift cards are sold each year. One of the most common forms of gift card fraud involves thieves tampering with cards inside the retailer’s store — before the cards are purchased by legitimate customers. Using a handheld card reader, crooks will swipe the stripe to record the card’s serial number and other data needed to duplicate the card. If there is a PIN on the gift card packaging, the thieves record that as well. 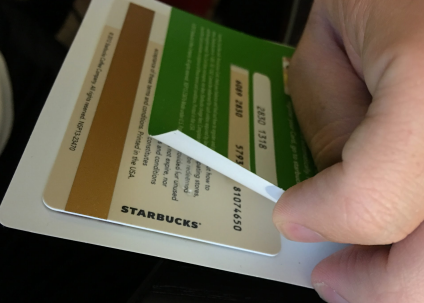 In many cases, the PIN is obscured by a scratch-off decal, but gift card thieves can easily scratch those off and then replace the material with identical or similar decals that are sold very cheaply by the roll online. At this point the cards are still worthless because they haven’t yet been activated. But armed with the card’s serial number and PIN, thieves can simply monitor the gift card account at the retailer’s online portal and wait until the cards are paid for and activated at the checkout register by an unwitting shopper. 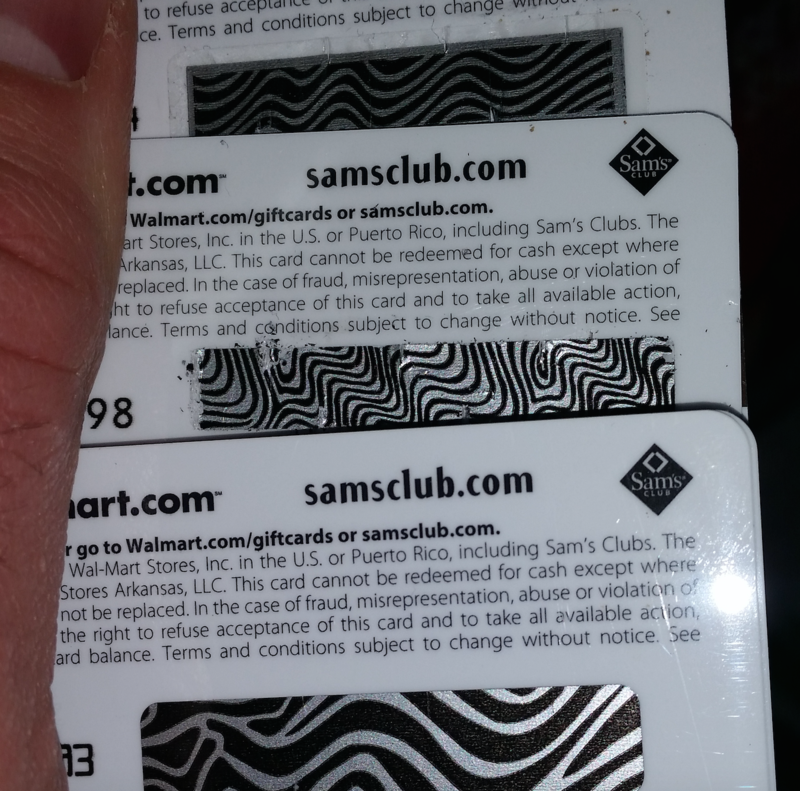 Once a card is activated, thieves can encode that card’s data onto any card with a magnetic stripe and use that counterfeit to purchase merchandise at the retailer. The stolen goods typically are then sold online or on the street. Meanwhile, the person who bought the card (or the person who received it as a gift) finds the card is drained of funds when they eventually get around to using it at a retail store. Traynor and a team of five other University of Florida researchers partnered with retail giant WalMart to test their technology, which Traynor said can be easily and quite cheaply incorporated into point-of-sale systems at retail store cash registers. They said the WalMart trial demonstrated that researchers’ technology distinguished legitimate gift cards from clones with up to 99.3 percent accuracy. While impressive, that rate still means the technology could still generate a “false positive” — erroneously flagging a legitimate customer as using a fraudulently obtained gift card in a non-trivial number of cases. But Traynor said the retailers they spoke with in testing their equipment all indicated they would welcome any additional tools to curb the incidence of gift card fraud.